Founders Memorial Rock at the Old Kent County Jail, 110 King Street, headquarters of the Society. Erected 1977 on a boulder from the Fry Farm. 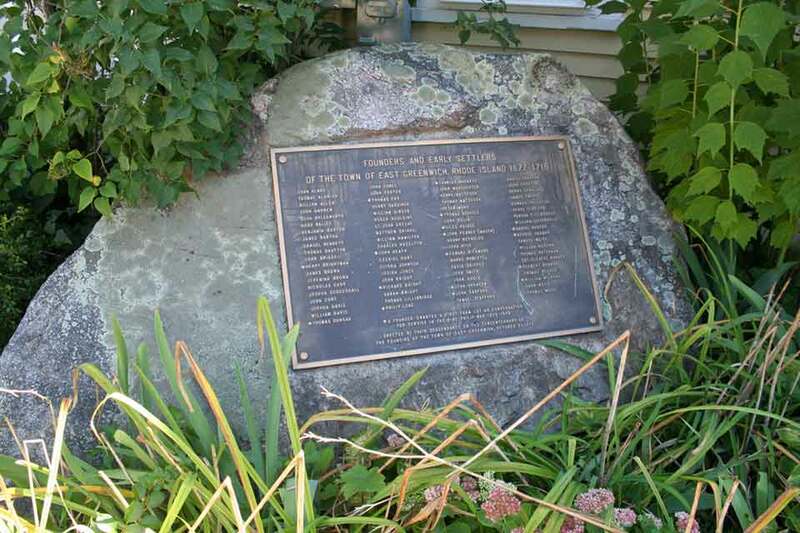 A number of descendants of the Founders and Early Settlers of the Town of East Greenwich attended a Dedication Service to honor their forbears on October 31st 1977. 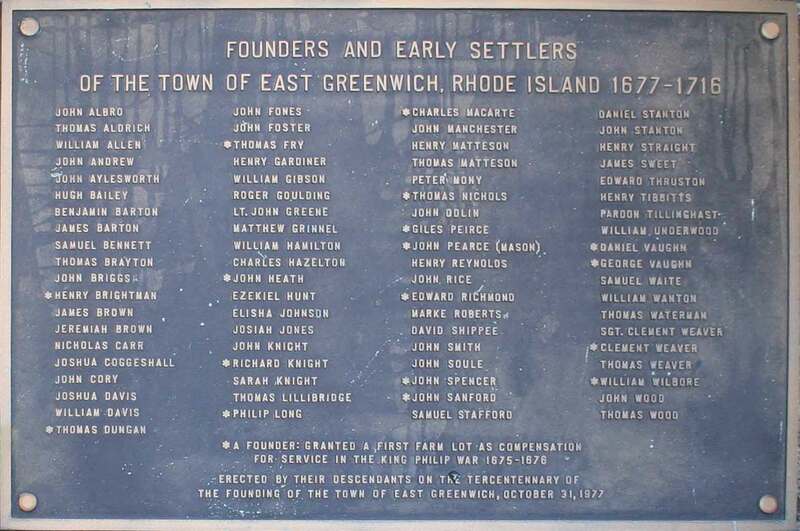 Note: If you have information on any of the East Greenwich Founding Families that you would like to be included please contact our website.